Thank you for your interest in the 2016 Ruthie Lou Foundation Board. 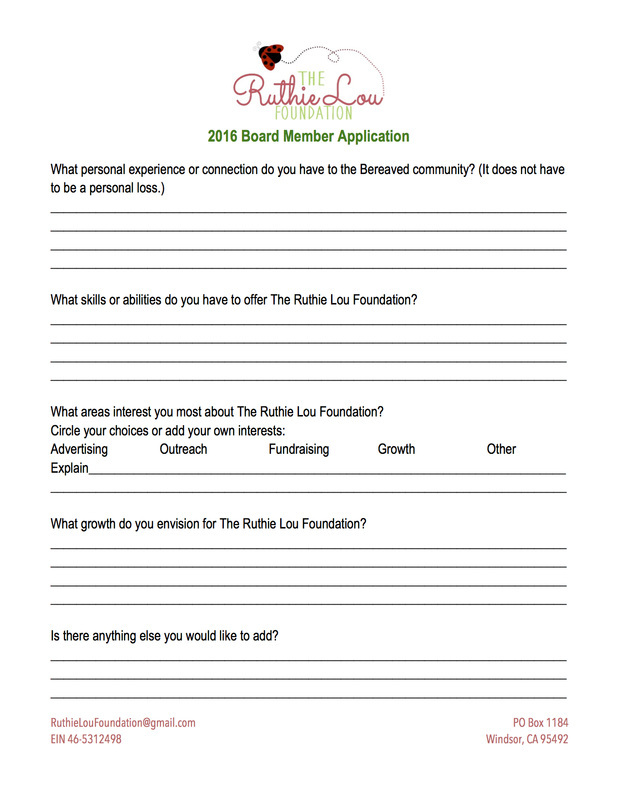 The Ruthie Lou Foundation would love to use your expertise and creativity by participating as a Board Member for 2016 year! There are numerous families experiencing infant loss in our community and they need our resources. Be part of the change, be part of the RLF Board. 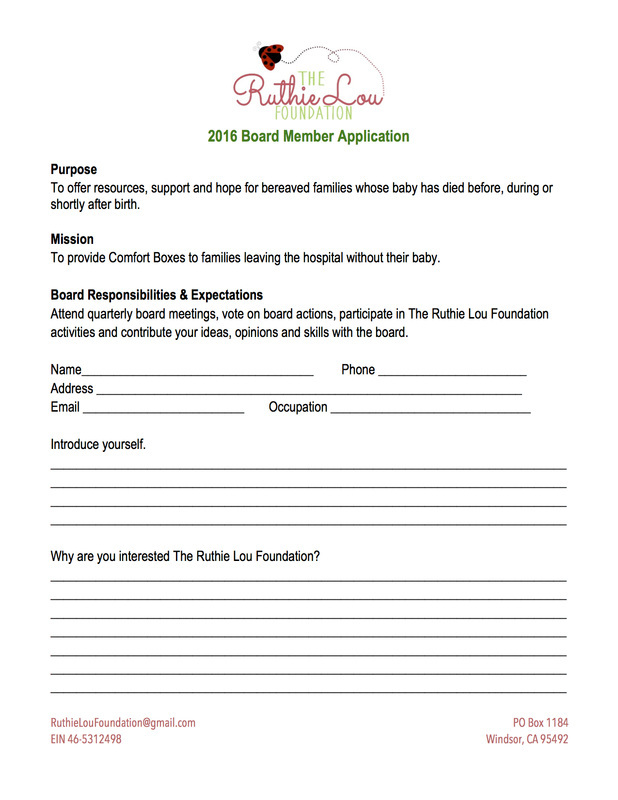 Requirements are: An interest in serving bereaved families of our community, attend quarterly board meetings, vote on board actions, participate in The Ruthie Lou Foundation activities and contribute your ideas, opinions and skills.